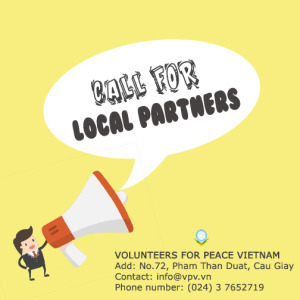 Volunteers For Peace Vietnam (VPV) is looking for 07 Vietnamese volunteers to join a workcamp on gender with Italian volunteers. All expenses for your accommodation and food during the programs will be covered by VPV. (Workcamp is the most common type of short-term volunteering where a group of volunteers will live and work together in an arranged project site. 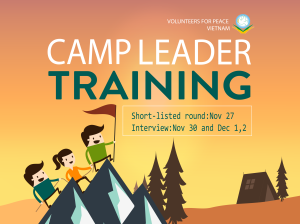 The workcamps often last 2 weeks and are fixed in VPV’s annual schedule; but usually, there are more workcamps in summer time (June- August) and spring time (December- January). The workcamp includes different activities to ensure the raising awareness action and to join different target groups. The set of activities below will see the active involvement of Italian and Vietnamese volunteers and the participation of the local community. 1. Meetings with experts in gender issues in Vietnam to learn about the subject/topic. 2. Visits some local organizations working in the field of gender equality to gain an insight into local gender issues and related actions/projects. 4. Photos Exhibition linked to a Drawing contest focused on gender. Your tasks will be to work in teams with international volunteers to organize those activities. 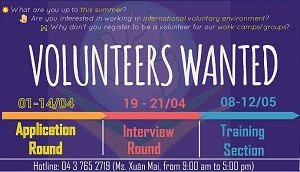 - The opportunity to work, communicate and be friends with international volunteers. - The opportunity to be part of meaningful activities for community development. - The chance to enhance English skills, teamwork, cross-communication skills. - Have good command of English (particularly listening and speaking). - Have interest in gender-based issues. - Have strong commitment and good sense of responsibilities. - Commit to join the whole camp without any days off. you are the one that we are looking for! - Training section: Will be informed via email to candidates passing the interview round. 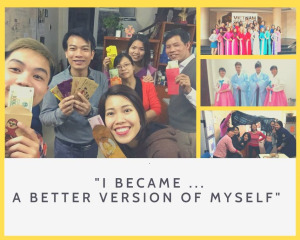 Xuan Mai worked for VPV during 4 years. March 27th, 2019 was her last day. Read her reflection about the past 4 years.